Africando is een uitgekiend gezelschap dat op inventieve wijze salsa verwerkt met Afrikaanse vocalen en gitaren. Strakke blazers worden ondersteund door markante guajeo piano patronen, gesyncopeerde bas en scherp gespeelde percussie (van o.a. de in Nederland wonende Venezolaanse percussionist Gerardo Rosales). Dit vormt de basis voor de vocalen van o.a. Medoune Diallo (Orchestra Baobab) die het openingslied ‘Deni Sabali’ zingt, bijgestaan door prachtige samenzang die we overigens op de hele cd tegenkomen. Warme koren die zorgen voor het sentiment in deze gepolijste salsa. 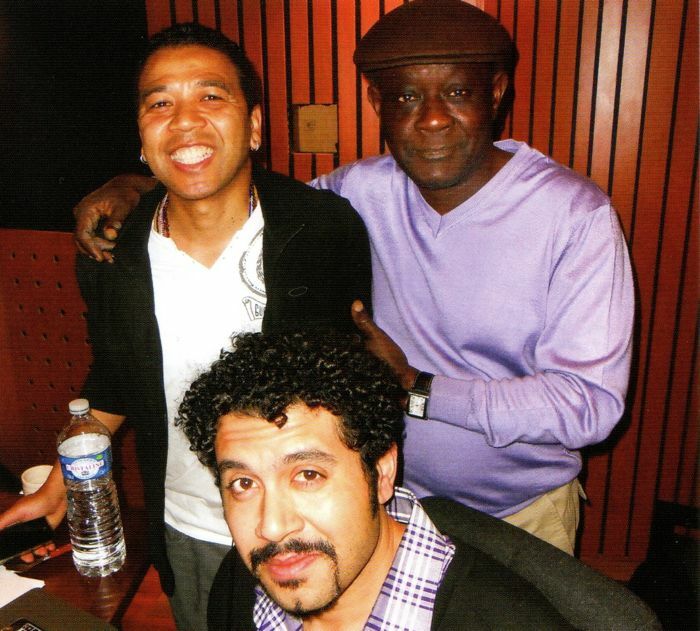 Heerlijk is de hoge stem van Sékouba Bambino (Bembeya Jazz National) uit Guinea die het opzwepende ‘Doundari’ en ‘Bouré Yayé Djame’ zingt, met opvallend gitaarspel van Omar Sow dat aangenaam twinkelt en ‘t Afrikaans continent laat weerklinken in de begeleiding. In ‘Destino’ horen we heel subtiel de Kaapverdiaanse coladeira, gezongen door de Senegalese zanger Raymond Fernandes geboren in Dakar uit Kaapverdiaanse ouders. Het slotstuk, gespeeld door het Spanish Harlem Orchestra, geeft met ‘Africa Es’ een terechte ode aan Africando. Een groep die met het album ‘Viva’ de levendige Amerikaanse salsa Afrikaanse warmte geeft! 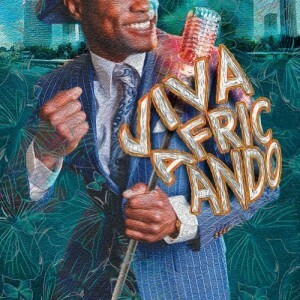 ‘Viva’ is the last cd of Africando. A trans-Atlantic combination of tight organised salsa from New York filled with West African singers and guitarists. 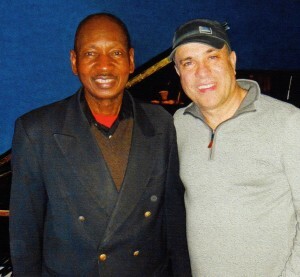 The Malian founder and arranger Boncana Maïga recorded from 1992 eight cd’s in different casts. ‘Viva’ was recorded in Paris (and not in New York) because of the war in Mali and visa problems. Africando is a sophisticated group arranging salsa with African vocals and guitars. Tight brass are supported by guajeo piano patterns, syncopated bass lines and precisely played percussion (for instance by the Holland based Venezuelan percussionist Gerardo Rosales). The salsa fills the basic for vocals like Medoune Diallo (Orchestra Baobab), who sings the opening song ‘Deni Sabali’, assisted by the beautiful harmony voices which we find all over this album. Warm choirs will bring sentiment to the polished salsa. Wonderful is the high voice of Sékouba Bambino (Bembeya Jazz National) from Guinea who sing the exciting ‘Doundari’ and ‘Bouré Yayé Djame’ with the remarkable guitar of Omar Sow which easily twinkles and brings the African continent into the music. In ‘Destino’ we hear prints of the Capeverdian coladeira, sung by the Senegalese Raymond Fernandes, born in Dakar with a Cape Verdean background. The Spanish Harlem Orchestra played by the final piece ‘Africa Es’ as an ode to Africando. A group which fills the vivid American salsa with African warmth!